TGx:Details for torrent "[ FreeCourseWeb ] Udemy - Mastering Microcontroller with Embedded Driver Development (Updated 4-2019)"
Torrent details for "[ FreeCourseWeb ] Udemy - Mastering Microcontroller with Embedded Driver Development (Updated 4-2019..."
>> Your Search for In-depth Micro-controller Programming Course ends here ! 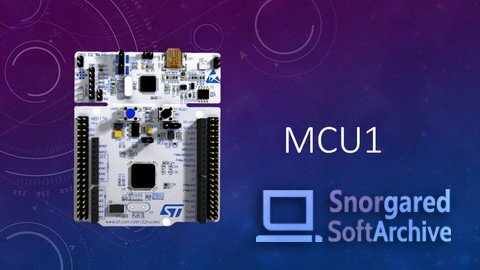 !<<<English Subtitles/CCs are enabled for this courseUpdate 5 (Nov/2018): Dedicated support team is assigned to address student's Q/AUpdate 4 (Oct/2018) : English Closed captions are fixedUpdate 3 ( Sep/2018): Open STM32 System workbench installation procedure and examples have been added to the course. This will help those students who cannot use KEIL.Update 2 (04/Dec/2017) : Added Bus matrix / memory map /vector table /interrupt design discussion with code examples.Update 1 (26/sep/2017): Eclipse IDE setup for ARM Cortex M based MCUs addedThe course is designed for Beginners to Advanced audience.Brief DescriptionThis Course Demystifies the internal working of the Micro-controller and its Peripherals.